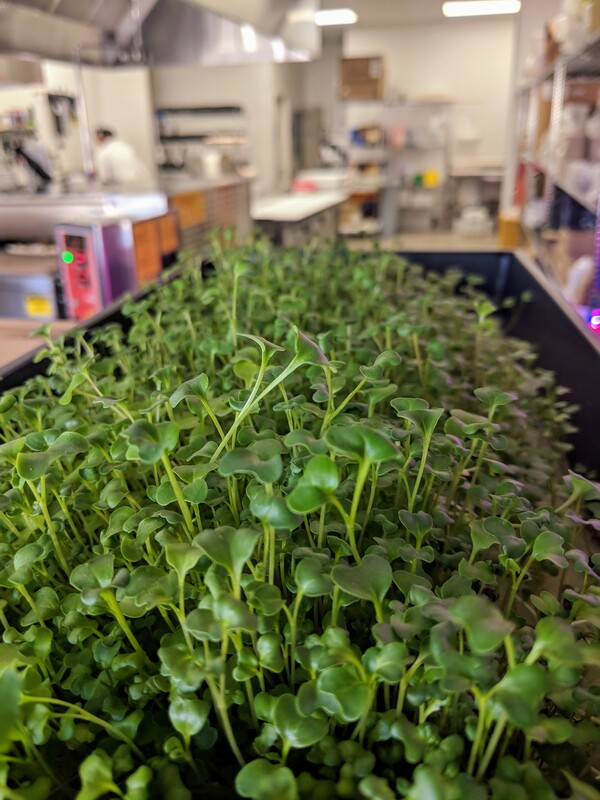 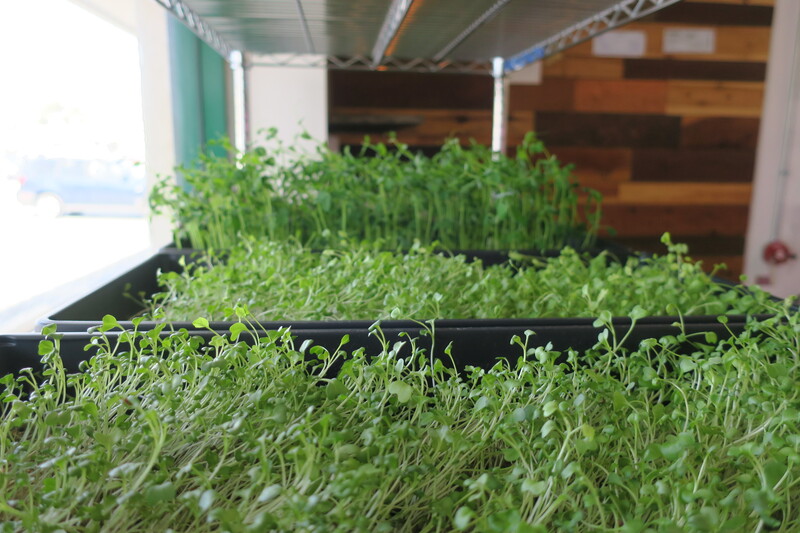 We are growing our own organic microgreens inside of our store. 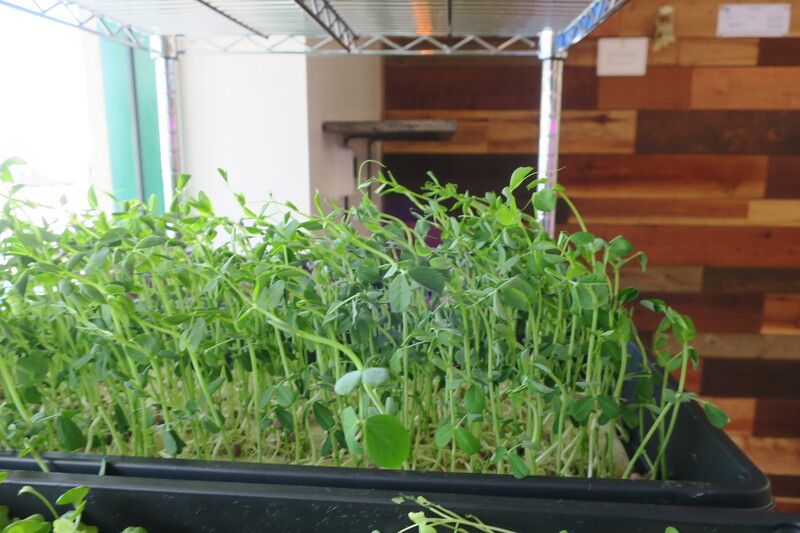 The shelves by the window grow using natural sun light. 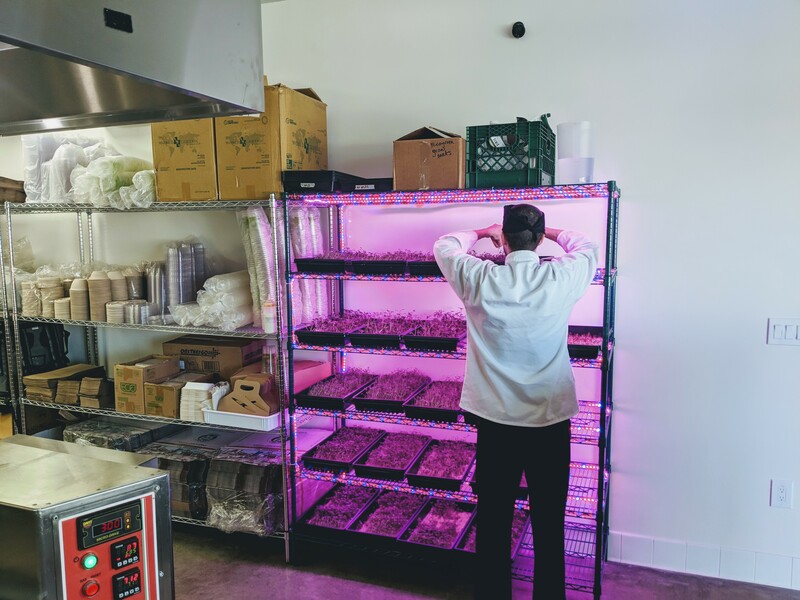 The other shelve has LED lighting, which is ideal for the growth.